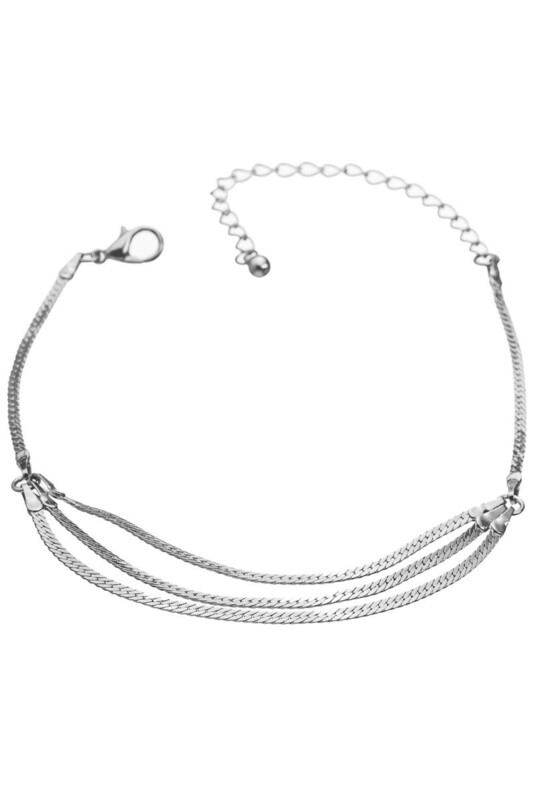 Description: Flat chain layered anklet. Approx. length 8.25" plus a 3" extender.